Who cares if Halloween is over? 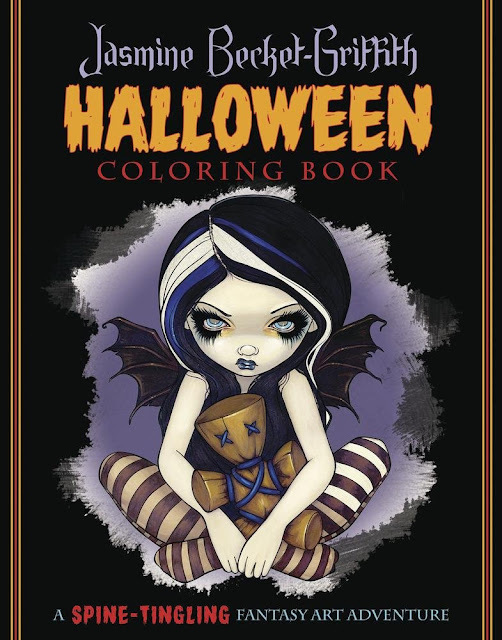 You can still get away with coloring dark and sinister illustrations all year around with this Jasmine Becket-Griffith Halloween coloring book. Don't be fooled by these beady-eyed dames. They look may look innocent at a glance. If you look closer, there is a mischievous air about them! 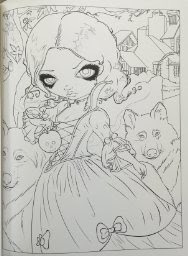 The style of art for this Jasmine Becket-Griffith Halloween coloring book is dark fantasy that appeals to non-goths, fairy enthusiasts, and fantasy book readers. 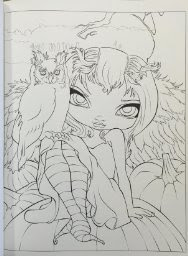 Make sure to comment below and let me know what you think of this coloring book!